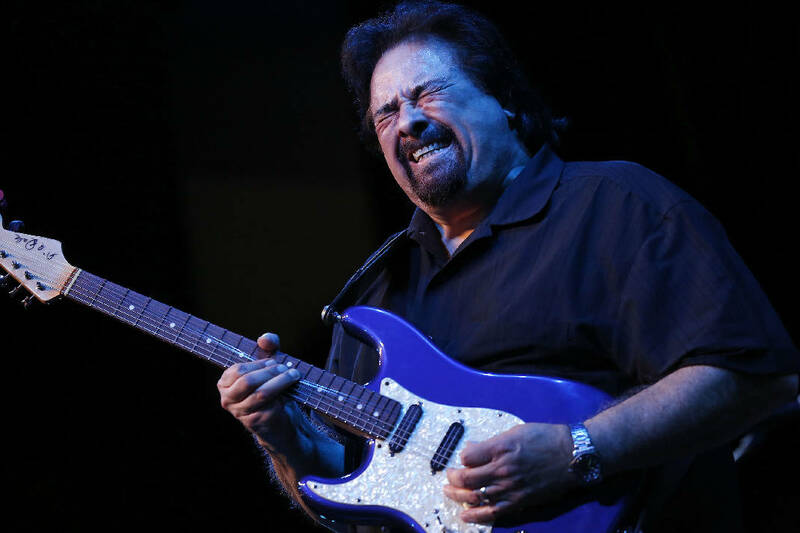 More than 40 years after he joined Albert Collins' band as a drummer, Coco Montoya says he has two good reasons for continually going out on tour. "The love of music is it," he said in a phone interview. "Plus, that's what I do to make a living. That's a couple of great incentives to hit the road." The music is blues, and Montoya plays it with bite and verve on guitar. That can be heard all over "Hard Truth," his eighth studio album released on Alligator Records. The songs on "Hard Truth," all variations on the blues, range from funky to gospel-drenched, and include a steely take on Collins' "The Moon Is Full." "I always take a good look at his catalog to see if there's a song I want to do," Montoya said. "His music is very valid and important to the blues. If I can do justice to the song, I look to put it on the record." Montoya began a tour the day "Hard Truth" was released. That tour rolls into Songbirds Guitar Museum on Tuesday, Dec. 11, for a 7 p.m. show. His sets are filled with songs from the new disc. For Montoya, the Collins connection is more than just an appreciation of the music by the artist known as the "Master of the Telecaster." Montoya, who started out playing guitar then switched to drums, got the call to join Collins after loaning his drums to the band for a Los Angeles gig. In joining the group, he found more than just his first job as a professional musician. "We were very close, a father and son type thing. I was a very young man when I first went out on the road with him. He kind of watched over me and educated me," Montoya says. After leaving Collins' band during the disco-driven downturn for blues in the early '80s, Montoya worked as a bartender, figuring that his days as a professional musician were over. One day he was jamming in a Los Angeles bar when British blues man John Mayall walked in. Montoya quickly played a Mayall song as a tribute and soon after got a call from Mayall, who was looking for a guitarist to join his reformed Bluesbreakers. Montoya filled the guitar slot in the band that had been previously occupied by Eric Clapton, Peter Green and Mick Taylor. In 1993, Montoya decided to go solo. Three years later, he won the Blues Music Award for Best New Artist in 1996, the year after he released his debut album "Gotta Mind To Travel." Consistently making records, the left-handed guitarist had his biggest seller in 2000, with his Alligator debut, "Suspicion," and he's continued to be a mainstay on festivals and the blues circuit for three decades. Montoya says he's starting to see younger faces at his shows alongside the older faces of those who discovered the blues in the '60s and '70s. That, he said, is good for the future of the blues. "Like everybody else who plays roots music and blues, we're hoping for rediscovery by youth," he said. "They're the people who get up and go out and see music. I think that's very possible. It's starting to make movement toward that. It's new to them, and the pop thing's getting tired. They're starting to rediscover it. It's a good place to be." He's hoping that some of those young people will follow in his footsteps as well, taking inspiration from the music they hear onstage to decide they want to play the blues — just like Montoya did after seeing Albert King in the late '60s. "You've got to pass it along," he said. "Once I've gone, somebody else has to do it. You learn from the people before you and hopefully pass it along."